Santa Cruz’s public libraries need help. An upcoming local ballot initiative, Measure S, will grant $67 million via new property taxes for improvements and repairs, but only if it’s approved by two-thirds of voters in the upcoming June 7 countywide special election. Measure S would exact a yearly tax of $49.50 per home and $86 per parcel of agricultural, commercial and recreational land for 30 years to fund building projects and maintenance for the county’s 10 library branches. The Capitola and Felton libraries will receive multi-million dollar replacements alongside renovations at all other branches except Watsonville, which operates independently from the county. The libraries would use over $16 million in addressing critical structural and safety issues. The libraries’ operating costs already come from property and sales taxes, but the county hasn’t levied new taxes for improvements and renovations in over 30 years, said Janis O’Driscoll, interim director of Santa Cruz County Public Libraries. If the libraries don’t receive money for renovations, the branches will eventually be unable to provide quality service for community groups who rely on the libraries’ computers, meeting spaces and extracurricular activities. The libraries would also upgrade internet speeds with the funding to better serve the hundreds of people who use the libraries’ computers daily. The measure requires a 67 percent approval from county residents. 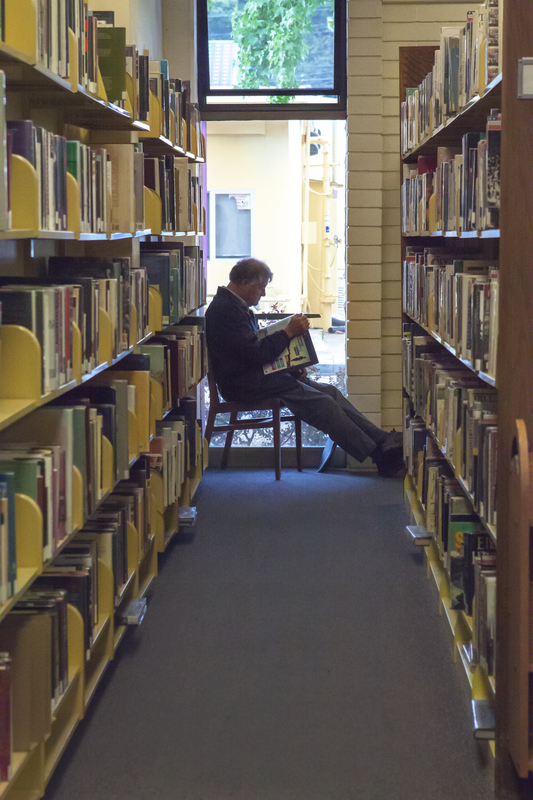 A January poll found that only 35 percent of 400 countywide respondents believed the libraries were in “great need” of funding for renovations, according to Gene Bergman and Associates. Since the announcement of Measure S in February, it has attracted hundreds of endorsements from prominent citizens, businesses and organizations, including Santa Cruz Mayor Cynthia Mathews. The intimidating numbers aren’t curbing the Our Libraries Our Future campaign for Measure S. The campaign has recruited 22 students so far at UC Santa Cruz for tabling, distributing fliers and phone banking to rally support in the county. Emmanuel Garcia, a recent UCSC graduate, said he’s campaigning for Measure S because libraries were important to him and other low-income high school students back home in San Diego. As local institutions serving multiple facets of the community, Santa Cruz libraries offer author talks, storytime for children, literacy classes and meeting spaces. Youth turnout for 2016’s Democratic primaries is the highest since 1976 when Jimmy Carter ran. The county will likely see higher than usual participation on June 7 from students at UCSC and Cabrillo College, and proponents for Measure S hope student voters will give the measure the support it needs. “Libraries are really spaces where we have equal opportunity — equal opportunity to access information, equal opportunity to use resources,” Garcia said. “They are democratic institutions at their very core, so I think what libraries stand for resonates with students. Previous articleSubmission: Who’s Really Controlling Our Dietary Guidelines?